Be the first to share your favorite memory, photo or story of Arvel. This memorial page is dedicated for family, friends and future generations to celebrate the life of their loved one. Arvel Adams 89 years of age of Bartley, WV went to be with the Lord Saturday, February 9, 2019 in the Buchanan General Hospital. Born June 7, 1929 in Yukon, WV he was the son of the late Nelt Adams and Addie Baker Adams. 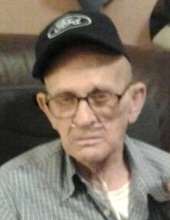 Arvel was a retired coal miner and was of the Pentecostal Faith. He was a member of the Church of the Living God, Raysal, WV for over fourty years. He enjoyed gardening, raising horses, singing and playing gospel music. He was known as a horse trader, loving father, grandfather, great-grandfather and brother. In addition to his parents he was preceded in death by his daughters, Lucille Owens and Addie Belle “Tiny” Walters, infant twins Imogene and Eugene Adams; sister Beatrice Johnson; brothers Ervin and Harlon Adams. He is survived by his loving wife of 62 years Janet Addair Adams of Bartley, WV; four daughters, Karen Sue Hale, Dismal, VA, Lynn (Mickey) Keene of Bartley, WV, Beatrice Lorraine Adams of Bartley, WV, Janet Diann (Randy) Tedford of Raven, VA; two sons, Arvel Dean Adams of War, WV, Keith Dwayne Adams of Bartley, WV; sister Beauletta McMillian, Smyrna, DE; brother Carlous Adams of Milton, WV. He was also survived by his Grandchildren: Billy, Jason, Jamie, Jessica, Dedra, Heather, Kevin, Kayla, Thomas, Deana, Megan and Kendra; several Great-Grandchildren, nieces, nephews and good friend Jackie Copper of Mann, WV. Funeral services for Arvel Adams will be conducted Thursday, February 14, 2019 at 12:00 noon at the Shortridge-Ramey Funeral Home Chapel, Keen Mountain, VA with Reverend Joe Bill Proffitt officiating. Burial will follow in the Fairview Cemetery on Pea Patch, Grundy, VA.
Family and Friends will serve as active pallbearers. The family will receive friends at the Shortridge-Ramey Funeral Home, Keen Mountain, VA after 6:00 p.m. Wednesday, February 13, 2019 where evening services will be held at 7:00 p.m.
Memorial condolences may be viewed at www.shortridgeramey.com. The family of Arvel Adams have entrusted the care of their loved one to Shortridge-Ramey Funeral Home of Keen Mountain, VA.
"Email Address" would like to share the life celebration of Arvel Adams. Click on the "link" to go to share a favorite memory or leave a condolence message for the family.